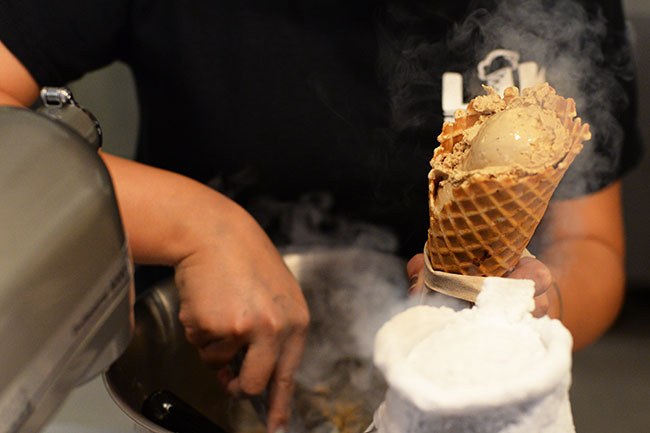 The latest addition to Vancouver’s ever-expanding ice cream scene is adding liquid nitrogen into the mix. 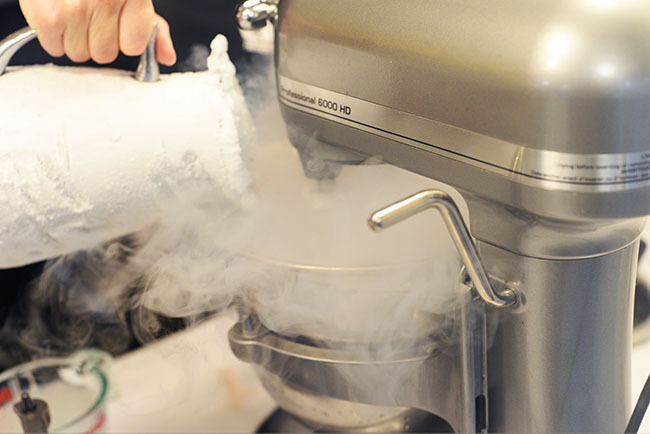 Softly opening on May 13, LIK N2 Ice Cream is using freezing cold liquid nitrogen to create deliciously creamy ice cream in seconds. 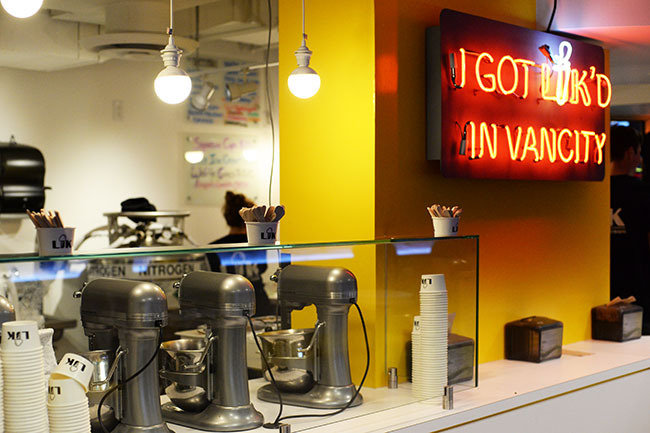 Located at 320 Robson Street (a space previously occupied by Pizza 2001), LIK begins with a Philadelphia ice cream base, then depending on the flavour of ice cream being made, the base is mixed with other ingredients, such as strawberries or matcha. 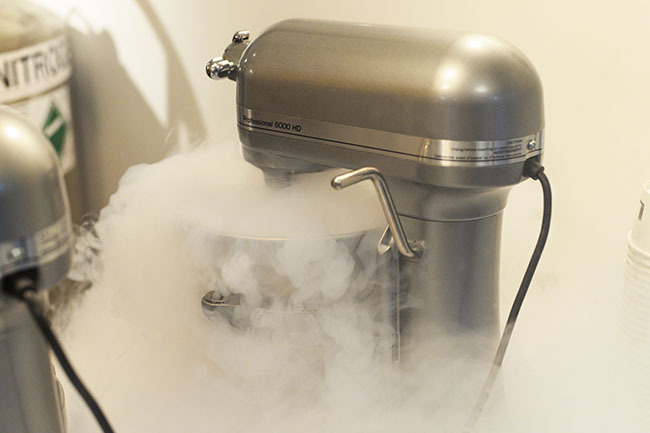 Made-to-order, the cream is blasted with liquid nitrogen and churned until the mixture is completely frozen. In addition to signature creations, the ice cream shop offers an array of rotating flavours, including Strawberry, Chocolate, Vanilla Bean, Vietnamese Coffee, Matcha, and Cookie Crumb, which can be topped with all kinds of delicious offerings, think home baked choc chip cookies and red bean. 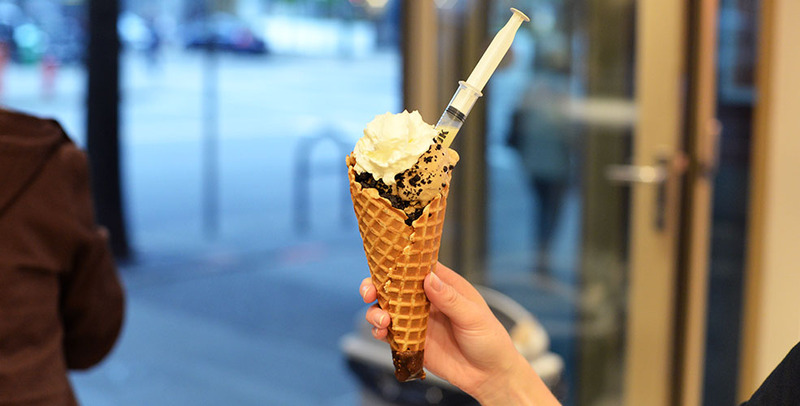 Available in a cup or cone, customers can opt to administer a syringe load of chocolate ganache or condensed milk into their ice cream creations too. 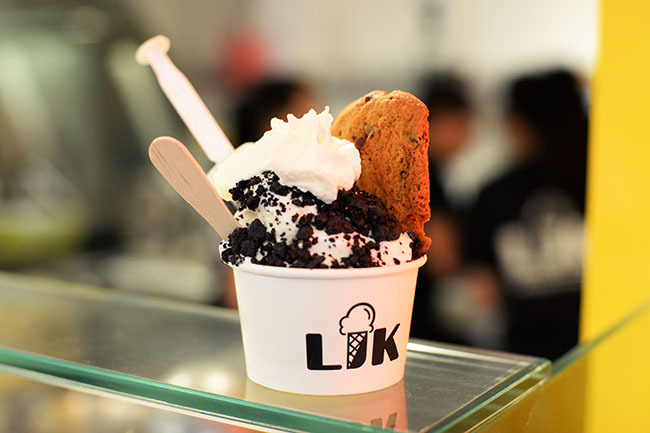 Co-owner Ivanna Chan (who is also the co-owner of The Bubble Tea Shop) says the reason behind launching LIK was to keep up with the trends and to introduce liquid nitrogen ice cream to Vancouver. “I’ve travelled to a few places that have offered liquid nitrogen ice cream and thought it was a great idea,” remarks Chan. “Also, using liquid nitrogen to make ice cream creates very small ice crystals so the ice cream should be smooth and creamy,” adds Chan. Despite only being open for a few days people are already lining up to get their hands on this latest cool treat to hit the streets of Vancouver.